The single soft-close bottom-mount trash can features a specialized wire management system that holds the bins securely in place. All units slide on KVs heavy-duty, full-extension ball bearing slides and Soft-Close technology. Bottom-mount units are pre-assembled for faster installation. 16 X 14.375 X 17.313 In-Cabinet Single Soft-Close Bottom-Mount 20 Qt. 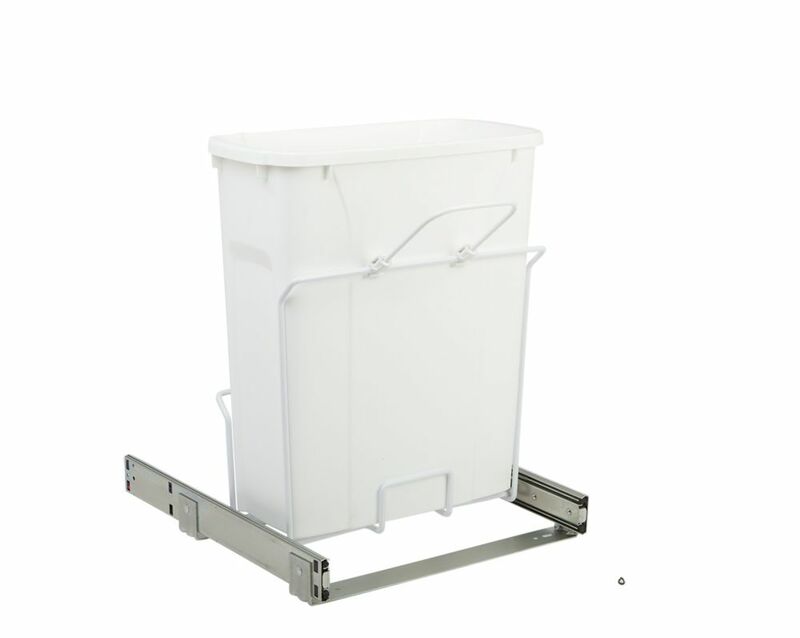 Pull-Out Trash Can The single soft-close bottom-mount trash can features a specialized wire management system that holds the bins securely in place. All units slide on KVs heavy-duty, full-extension ball bearing slides and Soft-Close technology. Bottom-mount units are pre-assembled for faster installation.